For the 9525025252524638th time, Real Housewives of New Jersey has reverted to the Teresa Giudice vs. Melissa Gorga Show. 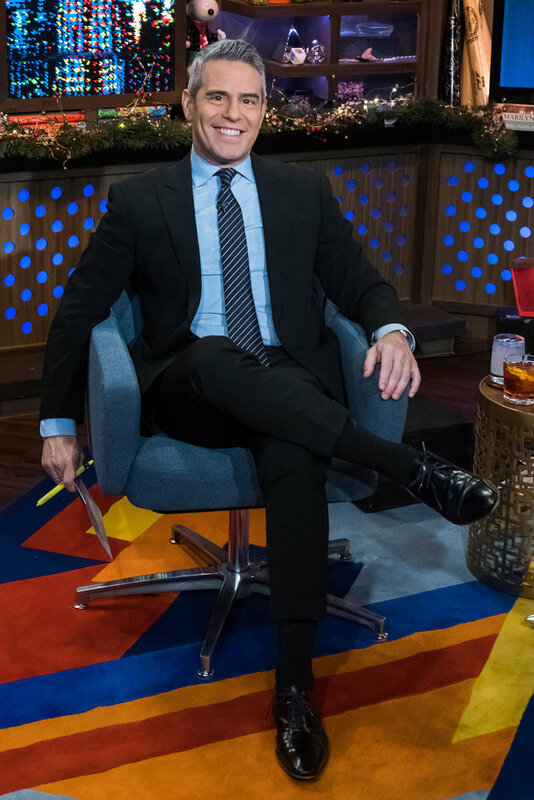 This means that everyone is picking sides, including the new Housewives. Jackie Goldschneider has come off the bench for #TeamMelissa. Meanwhile, Jennifer Aydin is firmly on Teresa’s side. 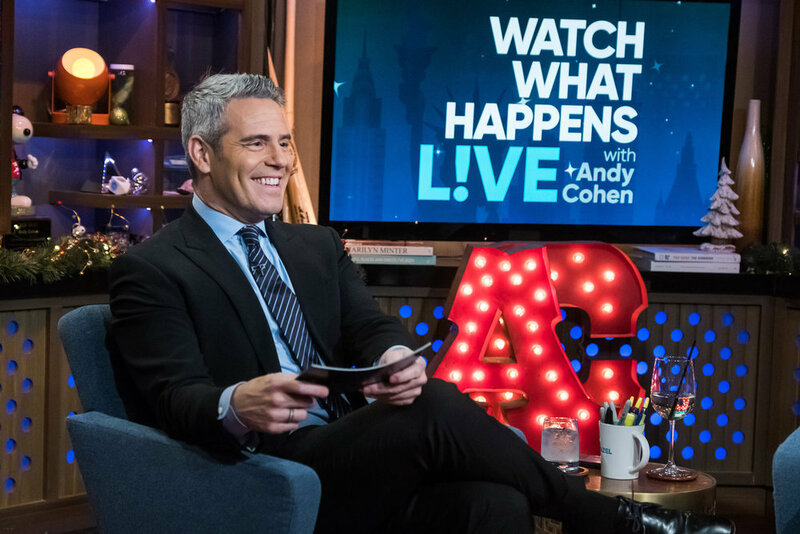 Interestingly enough, they both made their Watch What Happens Live debuts during yesterday’s episode. These two are not afraid to be polarizing. Jackie called out Teresa to her face during the last episode. Jennifer has no qualms bragging about her chandeliers from China or her sharing her antiquated marriage advice. Andy gave shout-outs to their husband Bill Aydin and Evan Schneider in the audience. Jennifer looked to her man and joked, “Thanks for the permission, babe. Good looking out.” Andy called her “funny” and told her, ” See, you’re already able to make fun of yourself. That’s very good.” Jackie asked Jennifer, “Can I make fun of you?” Jennifer replied, “You totally can.” And she has. Several times over. Clearly, Jackie is making her mark on this show by calling out Teresa. She declared that she has “no fear” when it comes to Teresa. She continued, “I had four kids under the age of three. I had four kids in diapers. What am I scared of? What can she do that can scare me?” Oh, I don’t know. Flip a table on you, smash a glass, chase you through a country club. Things like that. Has she not seen this show? Actually, she has. Both Jackie and Jennifer admitted to being huge fans before they became cast members. Interesting. Jennifer owned it. She proclaimed, “I have diarrhea of the mouth. Of course, looking back, I totally regret that.” She really did seem apologetic for her off-putting behavior. Jennifer continued, “I was mortified. I am a reasonable, rational person. I thought I was being funny and I wanted to bond with everybody. It didn’t go my way, obviously. Noted and I’ll do better next time.” But will that happen this season? Or next? Jackie shared her own thoughts on Jennifer’s constant bragging. She remarked, “I think that it’s not something I would personally do, but I enjoy watching it and laughing at it.” Same, Jackie. Jackie said, “Absolutely. I think that you do what’s right for you, but you can’t impose your wants on other people. You let everybody live your own life. She can say it, but she doesn’t have to keep screaming about it.” But that’s what Teresa does: scream. 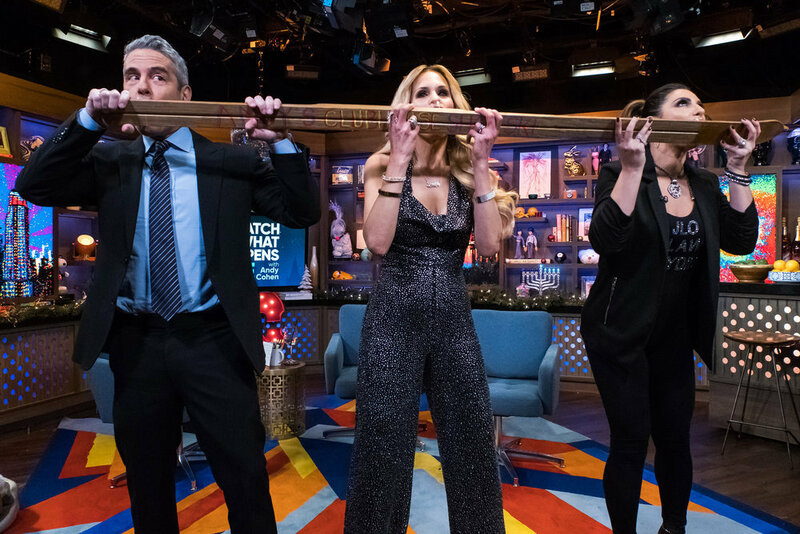 Check out the photos of Jackie Goldschneider and Jennifer Aydin’s Watch What Happens Live appearance by clicking through the gallery below. 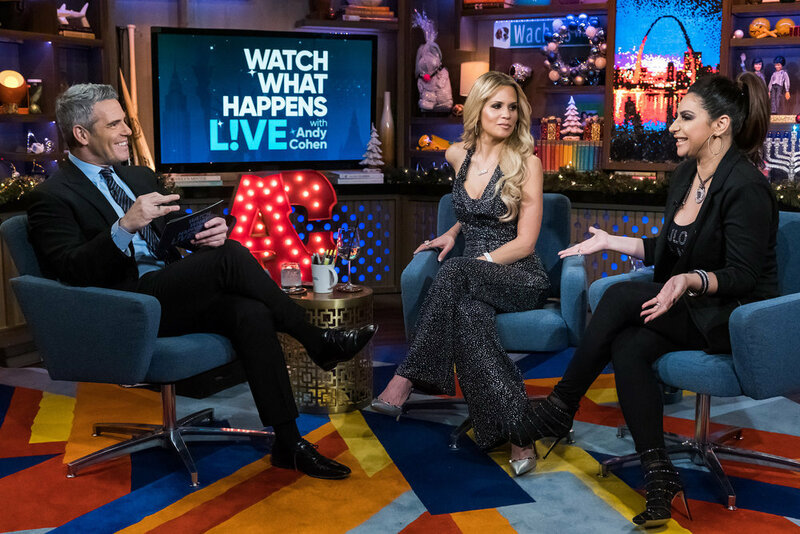 TELL US- ARE JACKIE GOLDSCHNEIDER AND JENNIFER AYDIN GOOD ADDITIONS TO RHONJ? WHAT DO YOU THINK ABOUT JACKIE CLAPPING BACK AT TERESA? DOES JENNIFER SEEM GENUINELY APOLOGETIC?